With its commercial success and accompanying controversies, Amy Winehouse’s second studio album (and final release before her drug-related death in 2011) cemented her reputation as a beloved musical innovator and tragic pop icon. Influenced sonically by girl groups from the Motown era, the lyrical content of the album was inspired by Winehouse’s torrid and intermingled relationships with both substance abuse and her on-again-off-again partner in excess and marriage, Blake Fielder-Civil. Despite its dark thematic content of loss, addiction, and hopelessness, the album garnered both critical and commercial acclaim, gaining multi-platinum status and winning a Grammy for Best Pop Vocal Artist. What got me into Amy? Definitely the documentary from a few years back. 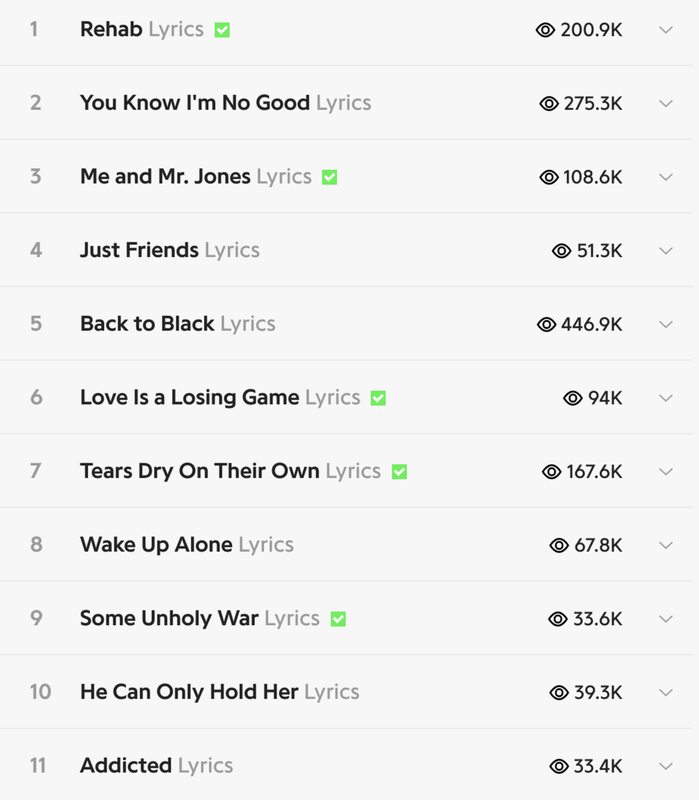 The album, Back To Black, includes a bunch of tracks that are all incredible. If you haven’t listened to the album in full, please do. It’s also an album I love hearing on vinyl. It just sounds so right.